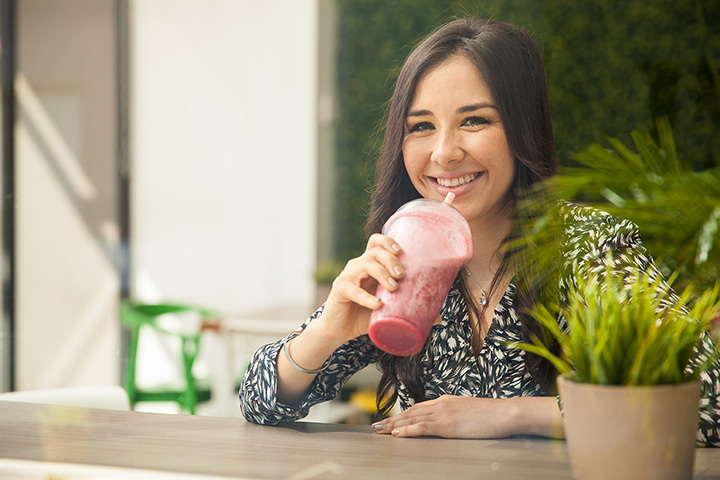 Whether it’s loaded with protein for a post-workout treat or it’s simply because you have a sweet tooth, smoothies really hit the spot. In Michigan, from Traverse City cafes to Grand Rapids’ juice bars, you’ll find a great spot for the perfect smoothie. Here are the 10 best. No matter what you've got in mind, you'll have plenty to pursue at Tropical Smoothie Café. Looking for a shot to the immune system? Never a bad idea in flu season, and the Immune Blast smoothie with banana, orange juice, oranges, apples and immune complex will help perk you up. With plenty of seasonal smoothies on hand, as well as sandwiches, salads and more, Tropical Smoothie Cafe will deliver the goods. Saturday Smoooothies 🍌 🍊 🍓 What are you havin' for lunch? It's a question worth asking, and in Ypsilanti, they'll ask and answer with What's In Your Cup, a juice and smoothie cafe. Smoothies and juice take pride of place, like the Mang, Tang, Bang!, a surprising combination of mango, lemon juice, orange juice and coconut water. Salads and wraps quickly follow up, because sometimes you need more than just juice. Wrap it all up with free Wi-Fi for customers and you've got a complete package that should keep your running all day, or just for a quick stop. When the Tampa Bay Rays' nutritionist is commenting on the quality of a place's pineapple juice, you know it's good stuff. Go Smoothies in Detroit offers that kind of top-notch juice, but doesn't stop there. It offers the fixings for a one-day juice cleanse that can be special-ordered yet delivers many of the benefits of a complete juicing session lasting several days. In store, check out the Pineapple Ginger Ale that features pineapple, ginger, turmeric and alkaline water. Head to Battle Creek to check out the Epic Nutrition Smoothie Bar, which features smoothies and juices in a wide range of seasonal flavors. Check out the Tea Bomb, which comes in a variety of flavors—one of the most recent additions was Hawaiian Punch—and offers a quick shot of extra energy. From S'mores to Blue Raspberry Cosmo, you'll find a wide range of beverage options here to perk you up and cool you off. Grand Rapids' Sip Organic Juice Bar will offer up a monster slug of smoothies to keep you up and running—start out your day with Breakfast in America, a combination of—brace yourself—greens, celery, apple, banana, grapefruit, parsley, and lemon. Throw in some extra one and two-ounce shots of aloe vera to aid with digestion and you’ve got yourself a seriously good drink. They even offer complete meal replacement smoothies like the Don't Stop Believin', boasting rice milk, dates, almond butter, hemp protein and more to make it feel like you just ate. Leave it to Traverse City to have a great place for smoothies, and the Oryana Cafe fills the bill here rather well. Smoothies here start from the simple and work up to such wonders as the Superior, a blueberry, cherry, banana, date and goji berry affair mixed with apple juice. Throw in range of add-ons from hemp protein to locally-produced yogurt to make it your own. That's just for starters—check out the range of sandwiches available here as well as a complete hot bar to make a full meal of your smoothie experience. Java Bay, a coffee shop in Marquette, has some of the best smoothies around. One big example of their greatness: the raspberry basil smoothie. Yes, that's raspberry and basil together, and though that may sound interesting, it's commonly loved. It's not just smoothies there either—their breakfast and burger menus are surprisingly expansive. Part of the Flint Farmer's Market—a year-round affair, so no worry about this being seasonal—Willow's Garden Juice Bar not only offers fresh-pressed and raw juices, but will also make smoothies with said raw juices for a slightly different take on juice. It also uses pre-bottled fresh juices, and opens up the field to raw wheatgrass juice and various local produce items as available. Vie isn't really a juice bar and smoothie place so much as it is a gym in Ann Arbor that happens to have one, but that really doesn't matter, as the smoothies are on hand, and in incredible variety. Some are simple, like the Strawberry Vie with strawberry, banana, and skim milk. The Jamie's Jumpstart, meanwhile, replaces the skim milk with almond milk and adds both spinach and vanilla protein. Throw in boosts of kale, spinach, or peanut butter—even coffee!—to further ramp things up. Holland's Joe 2 Go considers itself a jack of all trades sort of operations. Featuring not only smoothies, but also espresso drinks and breakfast options, you'll find quite a bit to start your day out right here. Smoothies, coffee shakes, Frusia fruit smoothies and protein shakes are all on hand, complete with a wide range of flavor shots from almond and brown sugar cinnamon to raspberry and vanilla, and plenty in between.